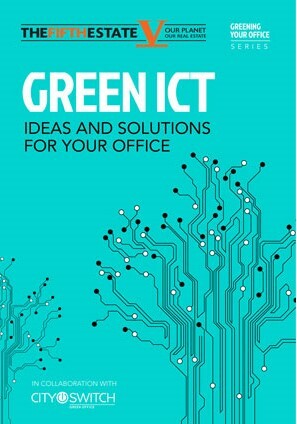 21 August 2016: The Fifth Estate has released another ebook providing practical support for sustainable business – this time, green ICT is the focus. Australia’s corporations are realising they need to get green, not just for the environment, but also for better branding and the bottom line. This important project is in collaboration with CitySwitch, the highly regarded program that’s managed to tap the sustainability veins – and appetite – of one of the most important planks in the Australian property industry, the tenants. CitySwitch has more than 700 major tenants signed up to do just that (nb – not currently in Queensland). Each year it holds fiercely contested awards for the best performers. While it’s often a difficult process to engage tenants (even in Green Star buildings), a wave of change in the community and the corporate sector means that greening offices is gaining traction in Australia. Don’t be left behind! To read the ebook, visit The Fifth Estate here.